Do you have potential to be a future leader in Critical Care? 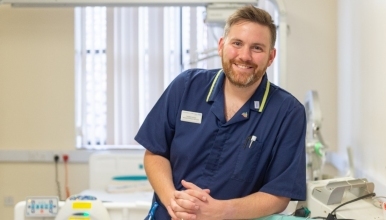 An exciting secondment opportunity has arisen at The Royal Shrewsbury Hospital site for a Band 7 Ward Manager for ITU/ HDU and the Critical Care Outreach Team. Critical Care services are delivered at both The Royal Shrewsbury Hospital (RSH) and The Princess Royal Hospital, Telford (PRH). To ensure provision of an efficient and effective service you will be working in partnership with the Matron, your counterpart at The Princess Royal Hospital, operational and clinical teams to ensure the delivery of safe, effective and person - centred care. The post holder will provide clinical, professional and managerial leadership to a team of Registered Nurses and HCA's to ensure that standards of patient care are practiced and quality indicators and Trust performance targets are achieved. You will be enthusiastic, motivated and keen to develop the future of critical care services ensuring staff engagement ensues, effective team communication occurs and a positive workplace culture is maintained. Recent Band 6 critical care experience and post registration award in critical care nursing is essential.